Steel Dog® TBTF Turnbuckle Braces provide a better way to align and straighten your form panels to pour a perfect foundation. A special attachment clip makes a secure connection to Steel Dog® and most other 1-1/8” panels, and a sturdy coil thread turnbuckle provides fine adjustment. 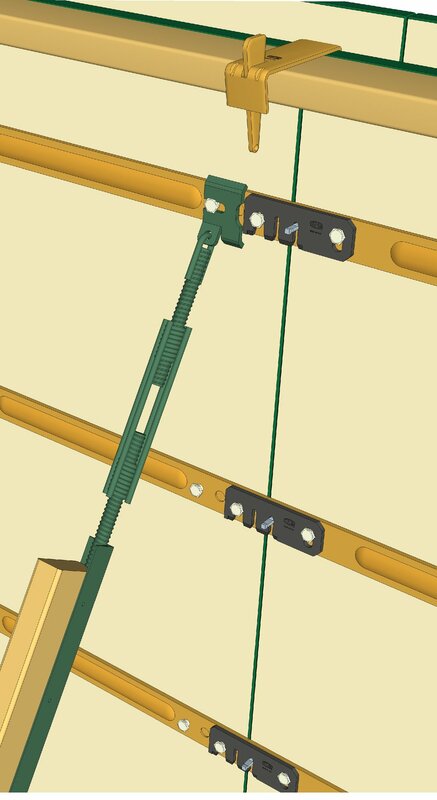 An angle iron attachment nailing bar provides connection to lumber brace of your choice.